A controversial proposal for a Melbourne apartment development with just three car parks has been given the green light following 12-months of government hurdles. rescinded by the Victoria Civil and Administrative Tribunal (VCAT) due to insufficient car parks. The designers of the complex, Breathe Architecture, had been looking to create an affordable and sustainable inner city development by removing features like car parks and including communal laundries to save space. 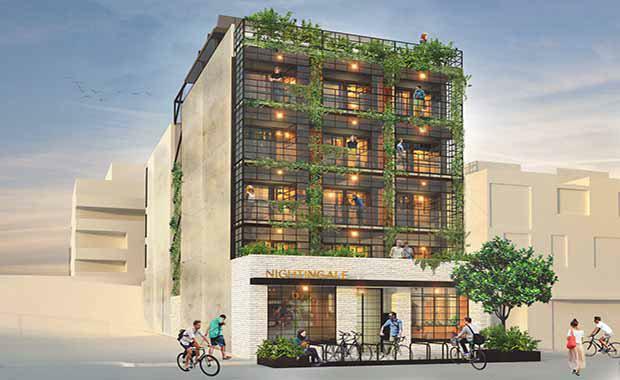 The site for the Nightingale is located close to train stations and trams and cycling paths and the first generation of owners had been vetted to ensure they did not require car parks. Fast forward 12 months later, and Moreland City Council has voted unanimously to approve the amended application which includes three car parks. There was only one objection to the amended development application and 277 letters of support.